Project selected by jury in Ottawa’s first New Leaf Community Challenge. 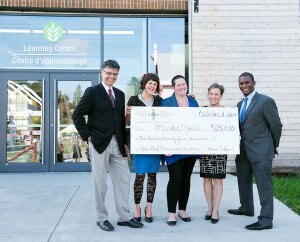 Oct. 1, 2014 (Ottawa, ON) – The Ottawa Community Foundation presented a cheque for $125,000 to the Rideau-Rockliffe Community Resource Centre and Ottawa’s Poverty and Hunger Working Group to address issues around food security in the capital. MarketMobile will roll out across the city over the coming months in an effort to improve access to healthy, affordable food for the 75,000 Ottawa residents struggling to feed themselves or their families. It was one of the three top proposals presented to a jury of community leaders and food experts at the city’s first New Leaf Community Challenge on Wednesday at the Canada Agriculture and Farm Museum. 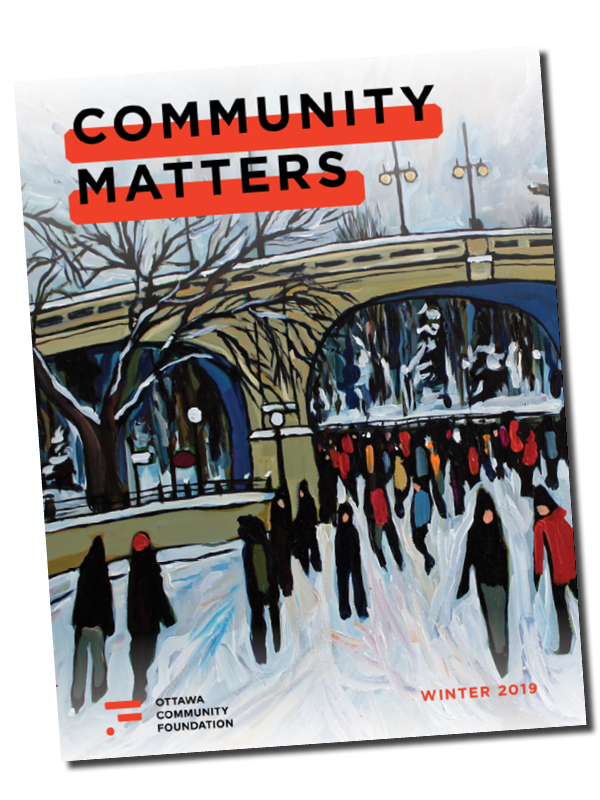 Developed by the Poverty and Hunger Working Group, MarketMobile builds on the success of Ottawa’s Good Food Markets, local pop-up markets that sell food at cost in areas with low access to affordable, healthy food. MarketMobile takes this program further by using wholesalers and partners to bring at-cost food directly into specific low-income communities using a vehicle so that markets can be set up in any community with higher populations of citizens who struggle with access to food. While a pilot project using a leased OC Transpo bus has proven to be successful in a limited number of neighbourhoods, the Community Foundation grant will allow the project to be expanded to four new sites, hire a full-time coordinator and begin year-round operation with a designated vehicle and trailer in January 2015. For more information about the MarketMobile and the New Leaf Community Challenge, visit https://www.ocf-fco.ca/new-leaf-community-challenge/.